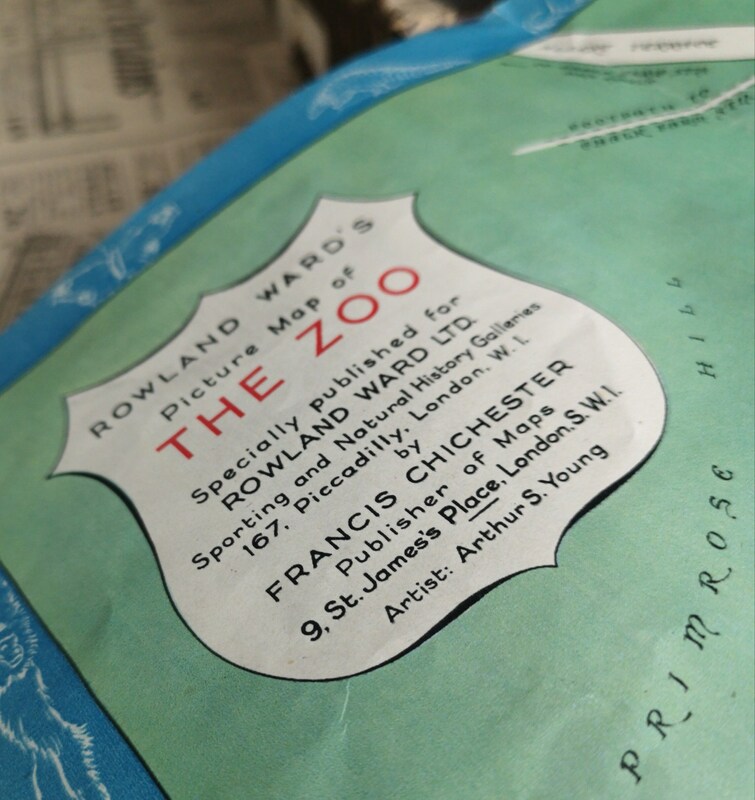 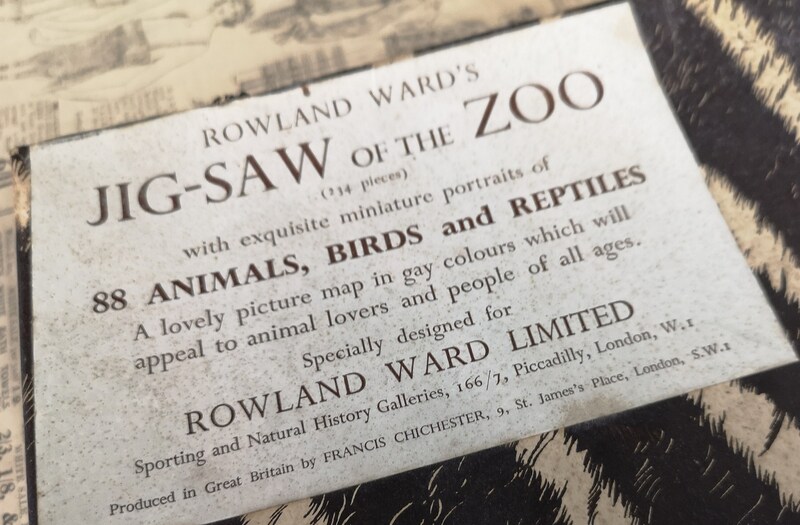 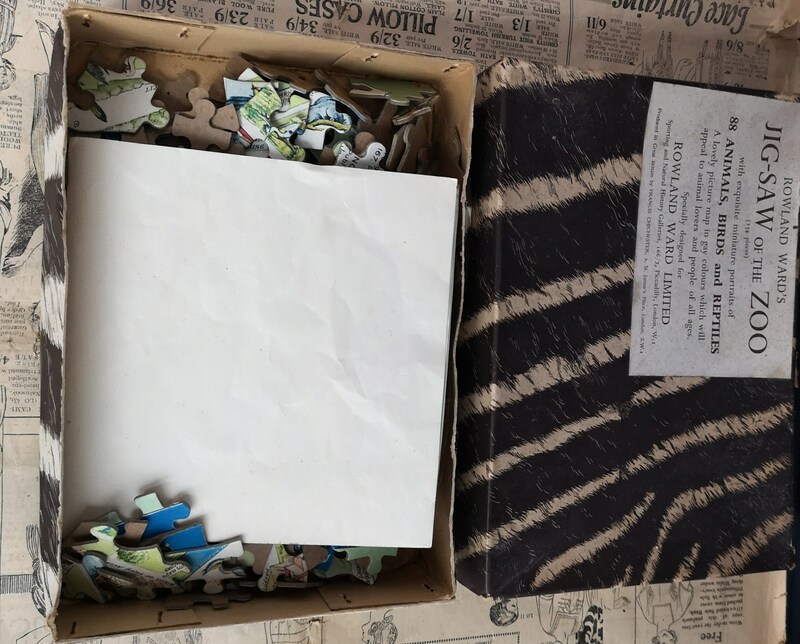 A fantastic early 1930's jigsaw puzzle, Roland Wards jig-saw of the zoo. 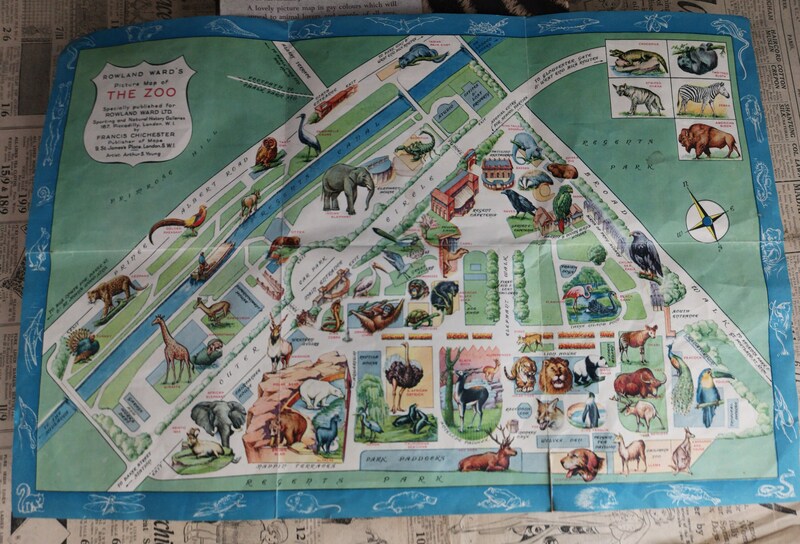 Features wooden pieces with colour print paper backing with images of different animals and their names at London Zoo. 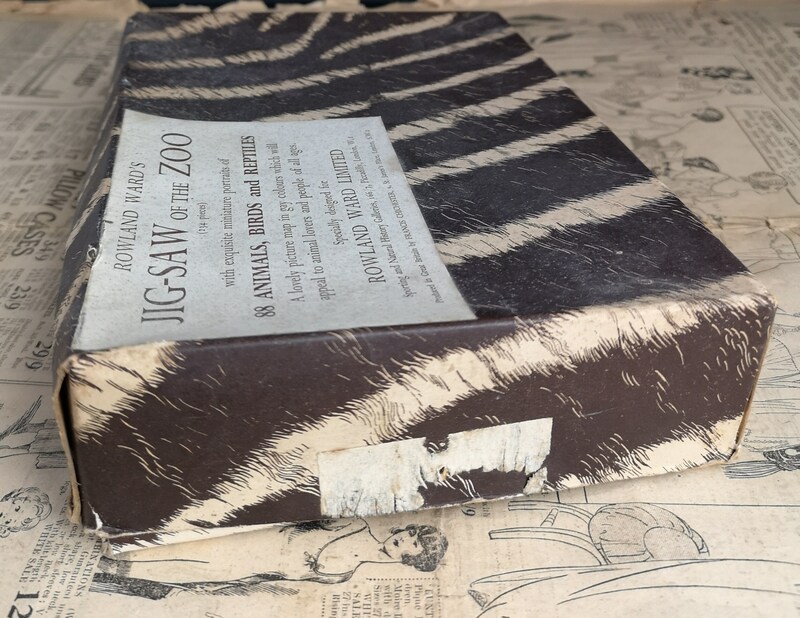 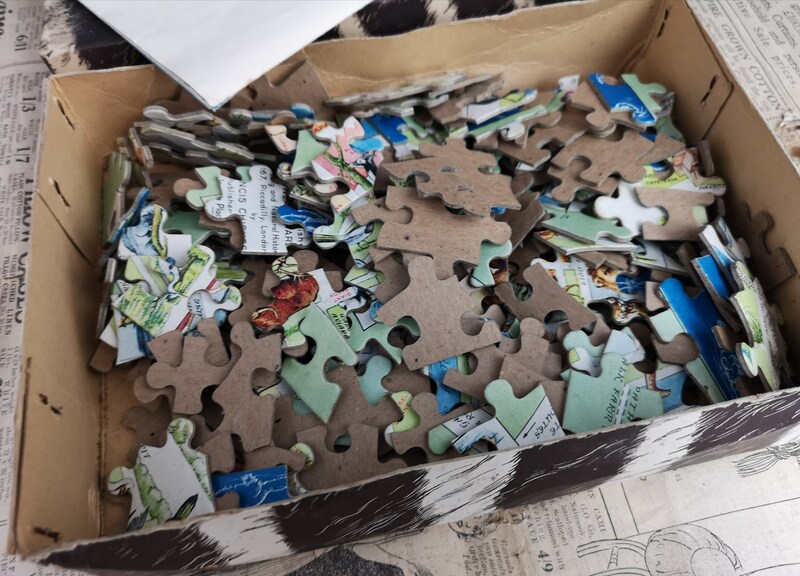 It has the original paper guide which shows how the jigsaw looks when finished. 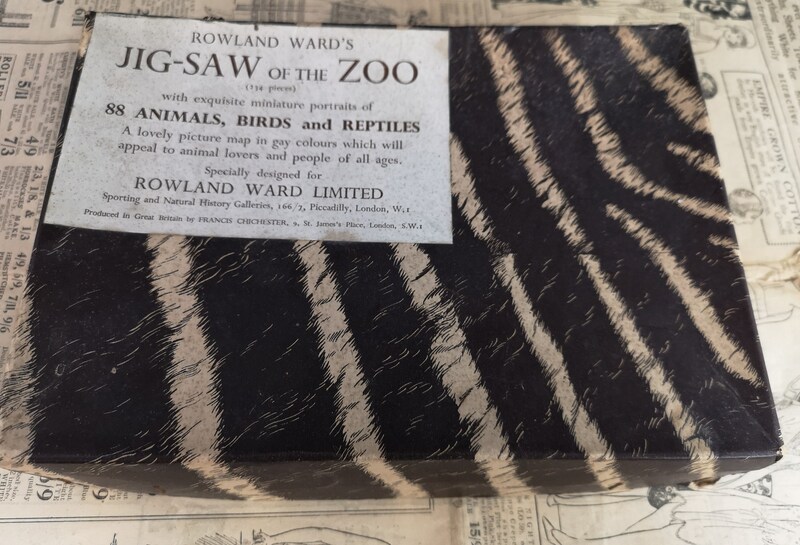 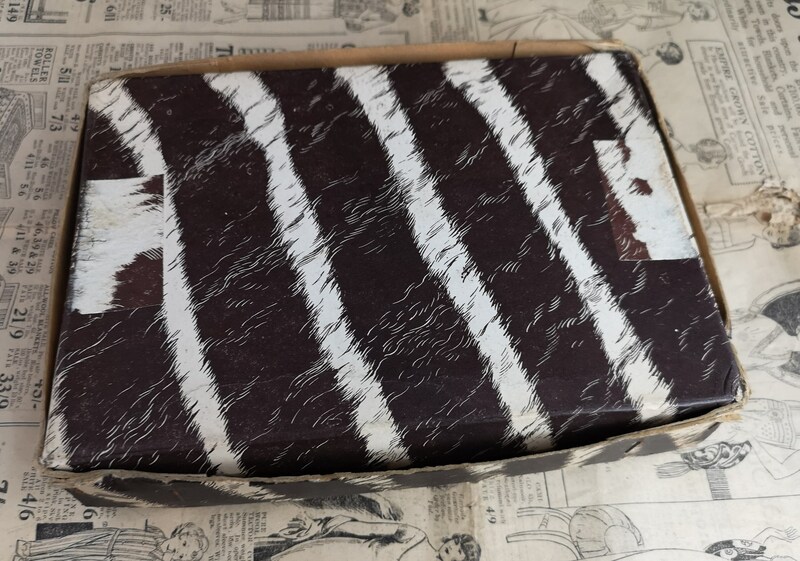 Published in England it has a very attractive zebra print cardboard box.